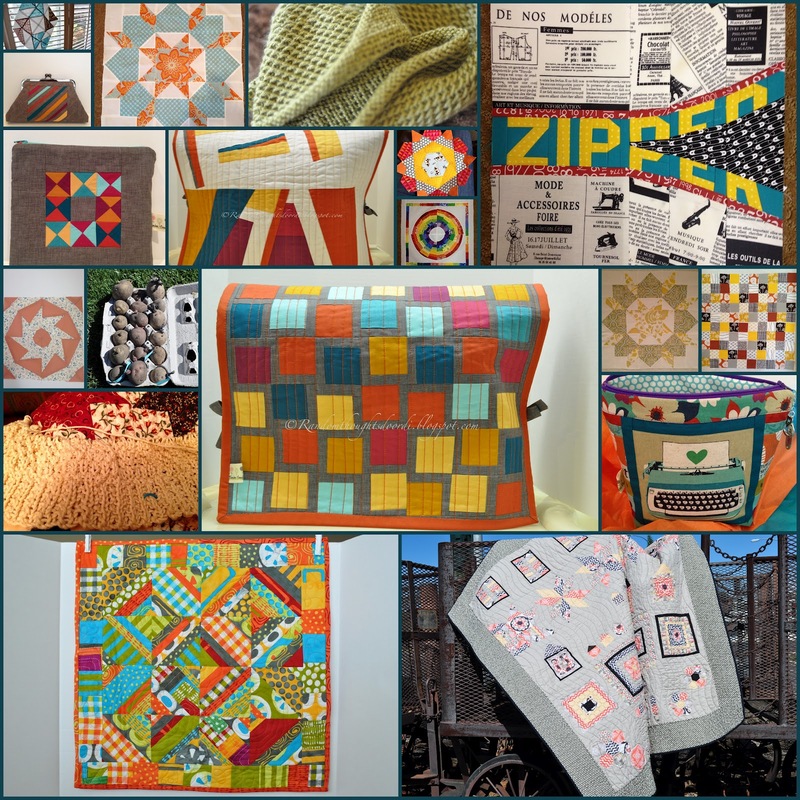 February was a month of bees, quilt-alongs and swaps. I'm happy to say my Mouthy Stitches swap gifts are in the air as I write this and my For The Love of Solids swap gifts are ready to be packed up and shipped off next week. I liked the fabrics and colors in this solids swap so much that I made a framed clutch and will either keep it for a gift for a friend or even for myself. I really like how it turned out. Color wheel mini quilt for Jennifer's Modern Mini Challenge. I started quilting it. UGH! It looks terrible, so I have to get my picker out and start unpicking about half of what I already quilted. I don't think I will have an entry ready by next week now. Sew Out Loud QAL first block, the Zipper. Made in Cherry quilt with my stash of Echo. Such a fun quilt to make! A knitted sweater with cotton yarn. It's my first knit sweater in many decades, so I am learning all over again. I hope to have it finished for our summer vacation. And last but not least...we planted our potatoes. I hope we get a decent crop this year. Last year's crop was a failure. Today would have been my dad's 87th birthday. He's been gone now over 11 years and I still miss him everyday! Happy Birthday, DAD! You have been a busy bee! Love your solids machine cover. :) I've admired it in the swap pool! Beautiful work! I especially love your typewriter pouch! Pretty! Love love love the sewing machine cover. I might have to make one myself. I like your framed clutch. I still need to make one. My MIL would have been 72 today and she has been gone 5 years. Hope you get your mini completed and submitted! You've had a very productive month!! Love the pouch( you knew that) and the purse you featured today is stunning! Keep it for YOU!! Your mosaic looks so wonderful! 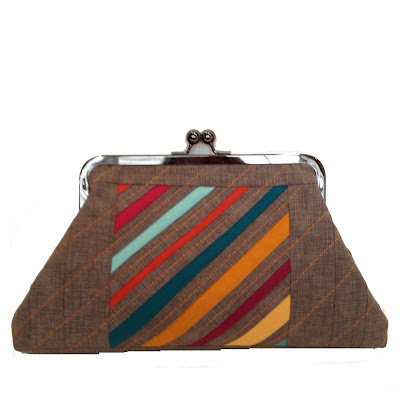 i absolutely love the framed clutch! i have some frames but am too scared to try one. such a great collection of completed projects! I love that clutch and all of your projects this month are just outstanding! Great projects :) And the framed clutch is so lovely. These colours look great against the background and I love the quilting. Wow, you had a really productive January! That clutch you made is to die for!